Today, I'm doing a quick review on a new product in the Lakme 9 to 5 range - the "Insta Light Instant Glow Creme". Brand claims it to be - "...a unique glow creme,that gives you an instant glow.With luminising pearls and mineral powder you get an instant skin glow styled by an expert, everyday." It's a slightly pinkish cream that you apply to your face, just like a regular moisturiser. 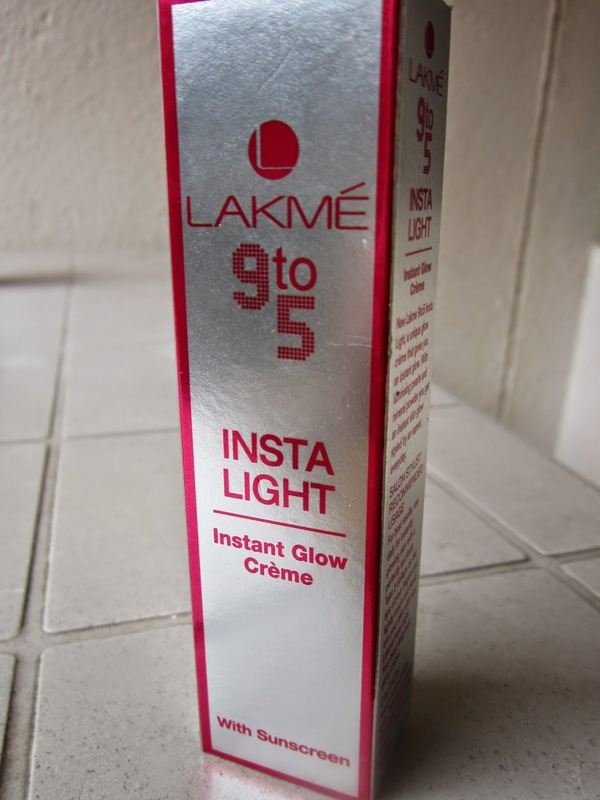 It promises to give an instant glow for everyday wear. My experience with it: ...has been great!! 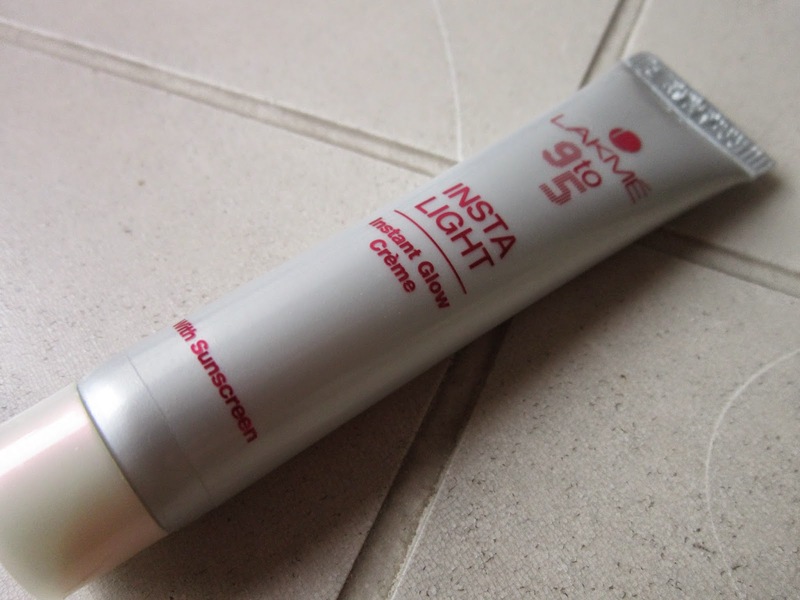 I could definitely notice a subtle, luminous glow on my face (unlike the more obvious glow of a Highlighter) & most importantly, this cream kept my face absolutely matte for over 4.5 hrs!! 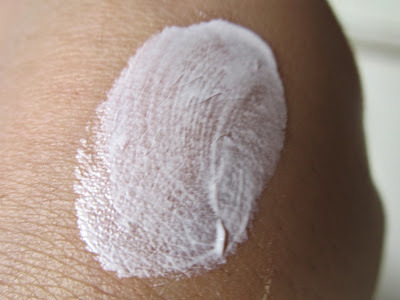 Yes, I would definitely recommend it for those, struggling with oily skins this summer! I tried using this on its own and then under my BB cream; both the times, I felt that the mattifying effect lasted for a long time. I did sweat, thanks to the humid weather, but then the skin remained non-oily for most of the time I was wearing this. The packaging states that it has Sunscreen in it, but fails to mention the SPF content. Overall, I think it's a lovely product for oily skins, to add a nice, matte glow to your face; with or without foundation/BB cream etc. With a price tag of Rs.79/- for a 20 gm tube, do give this a try this summer! Who should give this cream a miss? 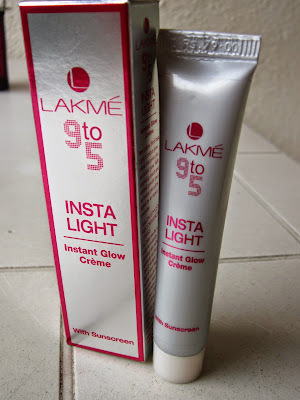 Hope this mini-review gave you some information about the "Lakme 9 to 5 Insta Light Instant Glow Creme". If you've tried it, then let me know your thoughts in the comments section :-) Leaving you with swatches ... Until the next post, Ciao!! 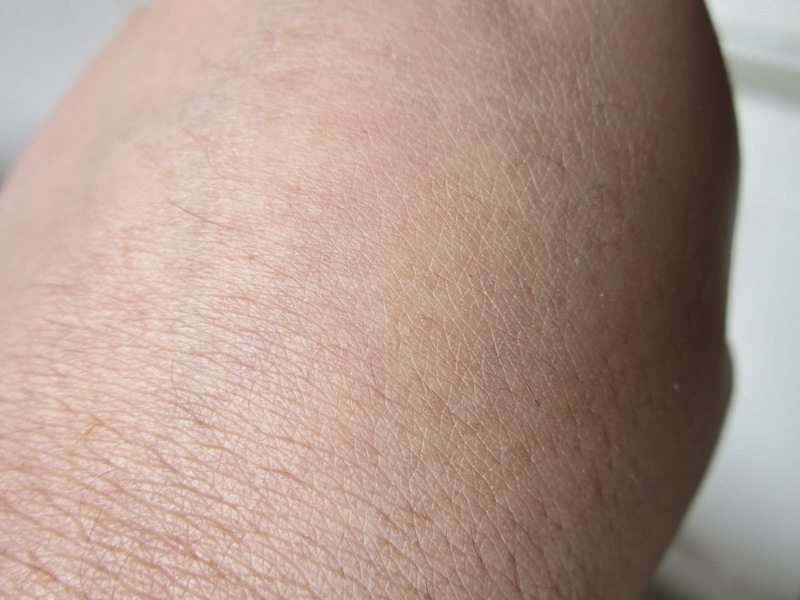 Blended :-) visible difference, right? Look who I have found!